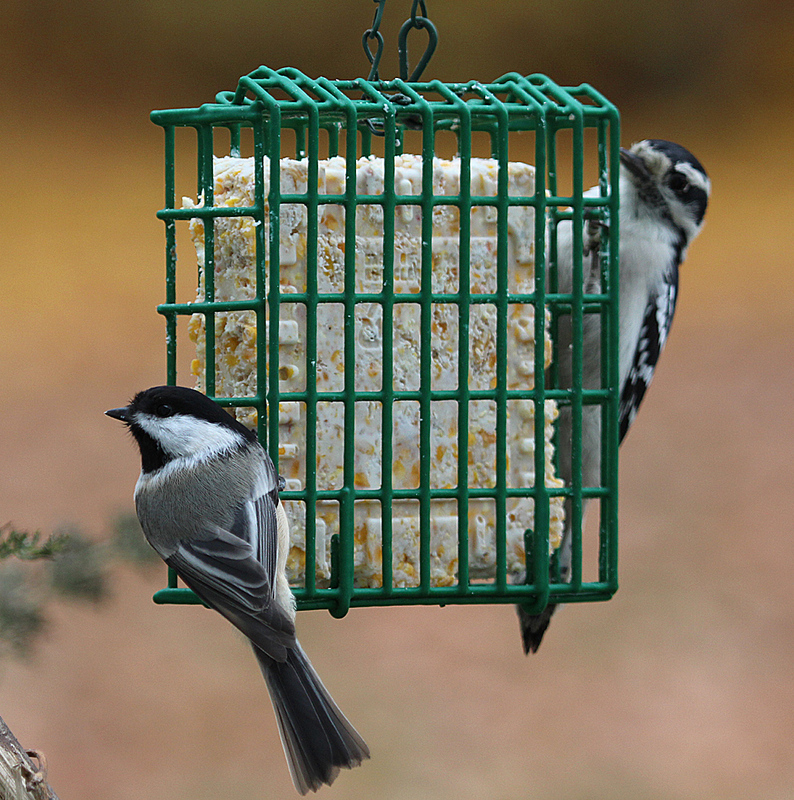 A Black-capped Chickadee and Downy Woodpecker share the suet feeder, Nov. 16, 2014. It’s been a particularly busy day at the feeder today. There haven’t been any out of the ordinary species, just lots of backyard favorites. Here are a few photos from the action. Not pictured, but seen visiting today are: American Goldfinch; Northern Cardinal; Hairy Woodpecker, Red-bellied Woodpecker; Dark-eyed Junco; White-throated Sparrow; Blue Jay and American Crow. No nuthatches today yet … odd.